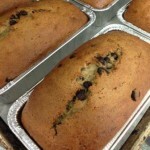 The Mann Orchards’ bakery proudly supplies the Merrimack Valley with various baked treats, including coffee cakes, breads, traditional holiday desserts, muffins and our fan-favorite apple cider donuts. There is always something fresh and new to enjoy. 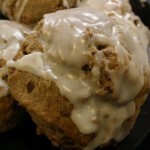 Mann’s bakes and serves a variety of scones and muffins which, when paired with our coffee or cider, makes for the perfect breakfast. We pride ourselves on our oversized blueberry, orange cappuccino, maple walnut and pumpkin spice muffins (along with other seasonal favorites!). And our scones are always moist and always filled with plump blueberries, cranberries or topped with thick icings for an absolutely delectable treat. 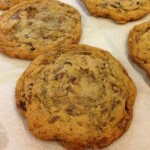 If you are a cookie lover we have you covered! We bake cookies daily, including perfectly simple sugar cookies, deliciously decorated iced cookies, sinfully sweet chocolate chip cookies, and more! Whatever option you decide on, Mann’s cookies are sure to be the star in your cookie jar. 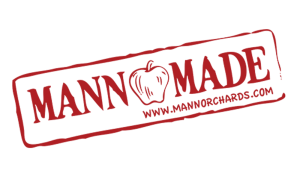 Whether you are looking for a hearty snack, breakfast toast, or a seat for a lunch time sandwich, Mann’s homemade breads and rolls will fit the bill. Cut a thick slice of our Mann Made Banana Bread, spread a little butter on it, give it a little grill…or just eat it plain. It doesn’t matter, you’ll love it! Our Mann Made coffee cakes are the perfect addition to any brunch or afternoon tea – sweet, moist and comforting, you’ll fall in love with every bite. 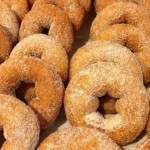 And did we mention our cider donuts? 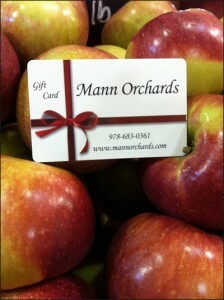 They are famous throughout the Merrimack Valley and certainly reign as a Mann Orchard fan favorite.